President Michel Aoun expressed Tuesday his deep sorrow over the fire that ravaged the Notre Dame Cathedral in Paris. 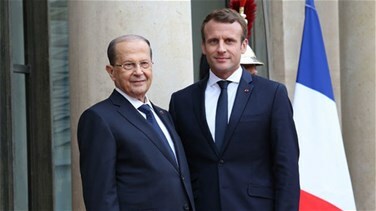 In a cable addressed to French President Emmanuel Macron, he said: "The Lebanese of all affiliations regarded this distinctive place as an essential part of themselves. Today, they stand by the French people in their plight to affirm the long-standing friendship with France, in the hopes that this religious, humane and historic edifice would soon rise from the ashes."